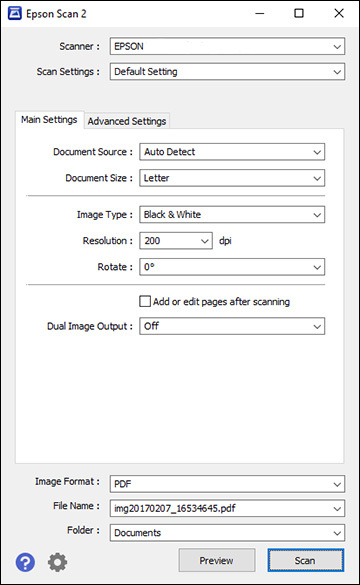 The orientation of some pages change from portrait to landscape when I scan multiple pages with Epson Scan 2 and save them as a PDF. What should I do? If you see a Add or edit pages after scanning checkbox, select it. If you don't see a checkbox, select Add or Edit Page in the After Scanning Option drop-down list. Click Edit in the screen that appears. Select the page you want to rotate. Click or to rotate the page. Click Add to add more pages to your scan or click Finish or Save.